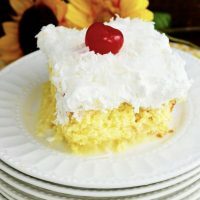 Moist delicious white cake drenched in sweetened coconut milk, topped with whipped topping and coconut flakes makes up this decadent Coconut Cream Poke Cake! I believe pokes cakes started getting popular in the 70’s! This may have been the decade I was born and maybe that is why I love poke cakes so much! 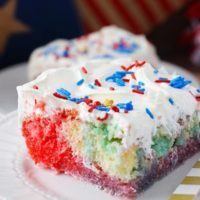 You know, take an everyday boxed cake mix poke some holes in it and pour some deliciousness on top (I believe it all started with Jello)! 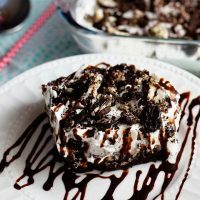 Then just add to the gloriousness by putting on whipped topping! I mean that just really put me in a tizzy! In a really good way! Anyone else out there that cannot open this amazing cloud in a tub and not lick the top! Yes I am confessing y’all! But I do at least use my fingers. I promise I don’t use that part for the cake! 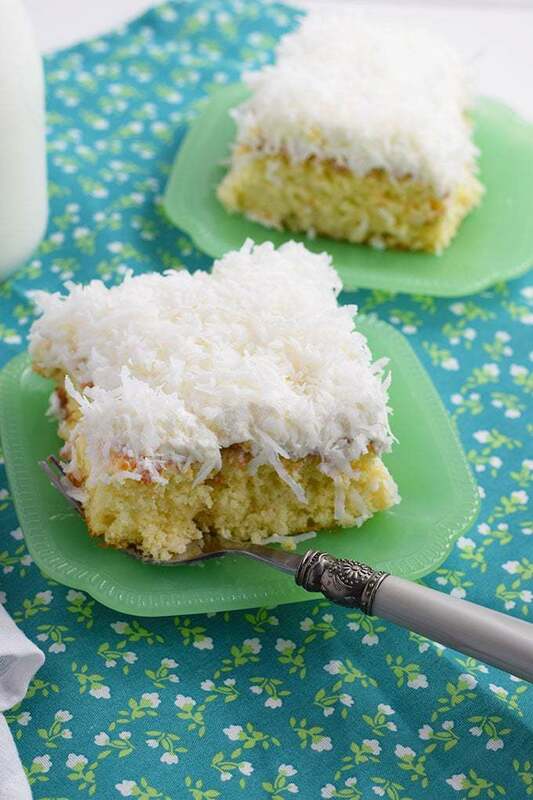 Oh and then those coconut flakes on top! Little bites of amazingness! “They” keep calling this type of cake vintage! Does that mean I am vintage also?? I know my kids may agree, but I am not so sure y’all! STEP 1 . Mix and bake cake in a 9 X 13 inch baking dish as directed on the box. I usually use the whole egg version but the egg white is a little lighter and so good too! STEP 2. 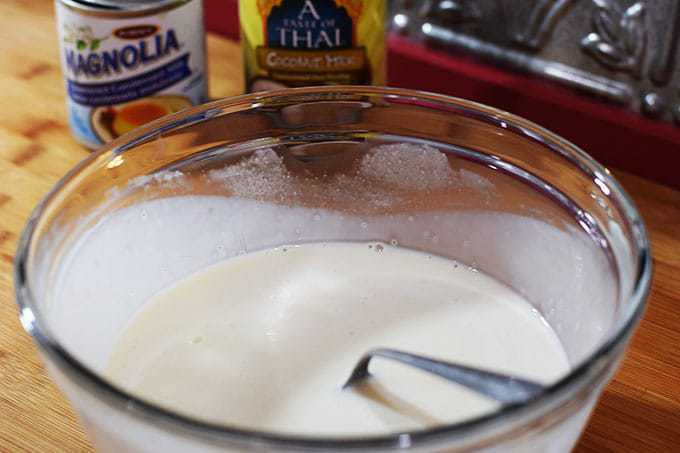 Mix the sweetened condensed milk and coconut milk together in a bowl. STEP 3. 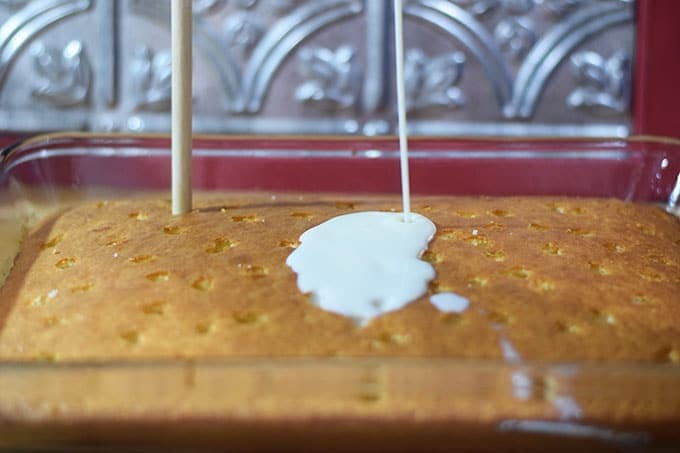 Once cake comes out, while warm poke holes in the top of the cake with the top of wooden spoon or use a fork. 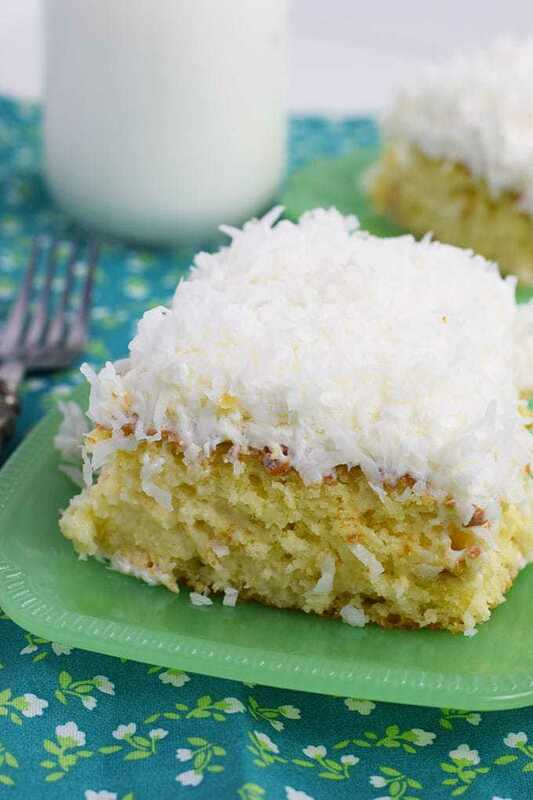 Then pour the coconut mixture on cake and let it cool completely. STEP 4. 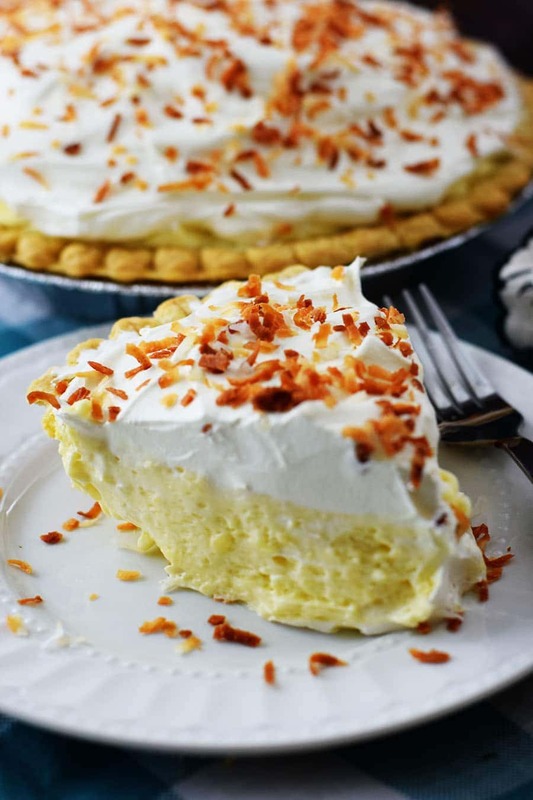 Top with Cool Whip and then sprinkle with coconut. Cover and refrigerate for at least 2 hours. Serve. Store in refrigerator. 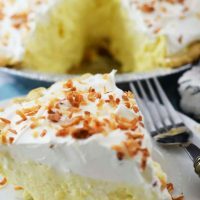 Please Pin – Coconut Cream Poke Cake – for later! Mix and bake cake mix according to directions on the box. In a bowl or large measuring cup mix coconut milk and sweetened condensed milk. Once done, take cake out of oven and while warm poke holes with the end of a wooden measuring spoon or fork. Pour on coconut milk mixture. Let cool completely. Spread on whipped topping and the sprinkle coconut flakes on top. This post is included in Weekend Potluck and Meal Plan Monday – Y’all please be sure to check it out! Let’s face it, coconut gets overlooked too much! Thanks for sharing at our Cupcake & cake party for Celebrate365 Blog Party! Yes! I love it though! 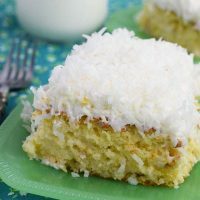 This cake is so moist and makes me feel a little like I am on a tropical vacation! Made this yummy cake for Easter and it was a huge success! Thanks for sharing another delicious recipe Nikki ! Do you have the calories, fat, sugar, etc. on this? Love your recipes, but I am tracking nutrients and macros.